By now you've probably heard that products from the California-based Alpine Beer Company are headed to Texas, the result of an agreement the brewery signed late last year to have their beers packaged by the Green Flash Brewing Company. 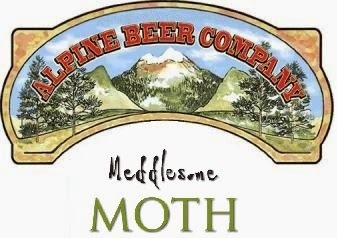 Scheduled to arrive early next month, one of your first chances to try Alpine's offerings will come at the Meddlesome Moth during a beer dinner hosted by brewery founder Pat McIlhenny on March 9 at 6 p.m. Only 100 seats will be made available, with the cost set at $75pp, including gratuity. Reserve your spot by purchasing tickets at Eventbrite or by calling the Moth at 214-629-7900.
with hop sofrito, Peruvian pepper, chive emulsion, pink peppercorn. with Purple Haze® goat cheese, pickled Medjool date, sourdough grain crackers. with cucumber anmitsu, lime leaf, furikake. with forest mushroom, pretzel spoon bread, huckleberry orange demi. with mascarpone mousse, cocoa nib, sizzling rice crisp.